I am a partner in the law firm Nordberg|DeNichilo, LLP., specializing in the representation of community associations throughout southern California, For more information, please visit our web site at NDHOALaw.com. Nevada bill AB 361 may soon provide Homeowners Associations in Nevada the right to maintain the yards of foreclosed homes within their communities without fear of being liable for trespass. Pending Nevada bill AB 361 may soon provide Homeowners Associations in Nevada the right to maintain the yards of foreclosed homes within their communities without fear of being liable for trespass. The Nevada State Assembly Judiciary Subcommittee heard testimony on the bill this week before referring the bill back to the full committee for consideration at a later date. As the foreclosure crisis has spread, unoccupied, untended homes have been a growing concern for community associations for reasons of health, safety and property values. But the associations have been unable to do anything because tending to the bank-owned properties would technically be trespassing. The proposed bill would require a lender that forecloses on a residence within a homeowners association to notify the association and provide it with the lender’s contact information. The association would then be able to enter the property for the purpose of maintaining the grounds, the exterior and abating public nuisances. Any expenses the association incurs would be filed as a lien against the property, which would have to be paid when sold. While this option would allow associations to recover some of the costs they will incur, it also opens up a myriad of issues such as whether the association would face any liability if it knows of squatters, or any dangerous condition on the property. It also would create a special class of property owner. When a bank takes title to a property through foreclosure, just like any other property owner, it is subject to the CC&Rs, including any maintenance requirements. All other property owners in an association are required to maintain the property themselves, and do not have the option of allowing the association to take up the maintenance. Allowing banks to fail to undertake their maintenance obligation is simply another type of bank bailout. 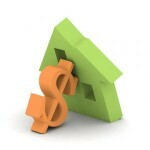 The association will have to front the maintenance expenses and will only recover those costs when the home is sold. Since the association would not have any control over when the property is sold, it could potentially be faced with fronting the cost to maintain a property for months or even years. As a result, the association (and by extension the other property owners) are faced with the expense of maintaining bank owned property, while the bank incurs no expense until the property is sold. While creating a mechanism to allow HOAs to enter onto the land and maintain a bank owned home may seem like a good idea, it places a burden on the association and other homeowners, and creates a special class of property owner. If an association is going to be allowed to enter onto the unkept property owned by a bank, it should be able to enter onto and maintain all unkept property, not simply foreclosed homes. Hopefully, the bill will be amended to extend an associations’ ability to maintain any property where the owner is not meeting their maintenance obligations, not simply bank owned property. Further, the association should continue to access the propety owner, and the bill should allow the association to assess a fine which would “encourage” banks and other property owners to undertake their maintenance responsibilities rather than relying on the association to take over those obligations. Author Robert M. DeNichiloPosted on March 22, 2009 March 15, 2010 Categories OperationsTags AB 32, Green2 Comments on “Green” Cement for your HOA? Author Robert M. DeNichiloPosted on March 17, 2009 March 15, 2010 Categories Governance, Operations, ReservesTags borrowing, Civil Code 1365.5, Reserves2 Comments on What to know if you’re considering borrowing from reserves. Is AB 49 Unfair to Green Homeowners Associations? 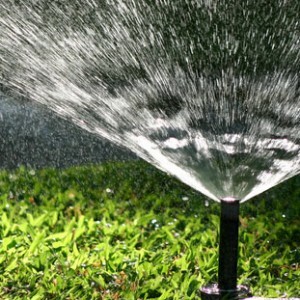 Proposed California bill AB49 requires an across-the-board reduction in water use by 2020. Such a requirement is unfair to those Homeowners Associations which have already voluntarily invested thousands of dollars and resources to reduce their water consumption, while excusing those who have done nothing. Such an amendment will reward those Homeowners Associations who have not adopted water use reduction strategies while still requiring those who have to comply with a 20% reduction. Those Associations that have achieved significant water reduction will have to further reduce their consumption by 20%, a requirement which could have disastrous consequences for both the aesthetic appeal and health of community assets. AB 49 is another example of the tidal wave of new legislation, regulations, and local ordinances to implement the mandates of AB 32 (The California Climate Change Solutions Act). The AB 32 CID Advisory Council was established to monitor this type of legislation, and advise of its possible impact. Contact me for more information on AB 49, AB 32 and its progeny. 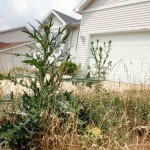 Author Robert M. DeNichiloPosted on March 7, 2009 March 15, 2010 Categories OperationsTags AB 32, AB 49, ConservationLeave a comment on Is AB 49 Unfair to Green Homeowners Associations? Your HOA board was not properly elected. Are its actions valid? 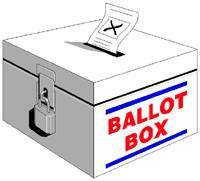 Are the actions taken by a board who may have been improperly elected valid? Are the actions taken by a board who may have been improperly elected valid? This question can hamper the governance of an association by calling into question all actions taken by a board where there where some procedural imperfections in the election that seated the board. California state Senator John Benoit has introduced AB 259 to reslove this issue. AB 259 is intended to avoid disruption in the governance of an HOA by preventing the voiding of actions taken by a board when the board’s election had some procedural irregularities, unless the court finds that the action of the board was contrary to law or to the governing documents. Once enacted, this bill should help any board facing a challenge to an election months after the election. Author Robert M. DeNichiloPosted on March 5, 2009 March 15, 2010 Categories GovernanceTags Board Actions, ElectionsLeave a comment on Your HOA board was not properly elected. Are its actions valid?